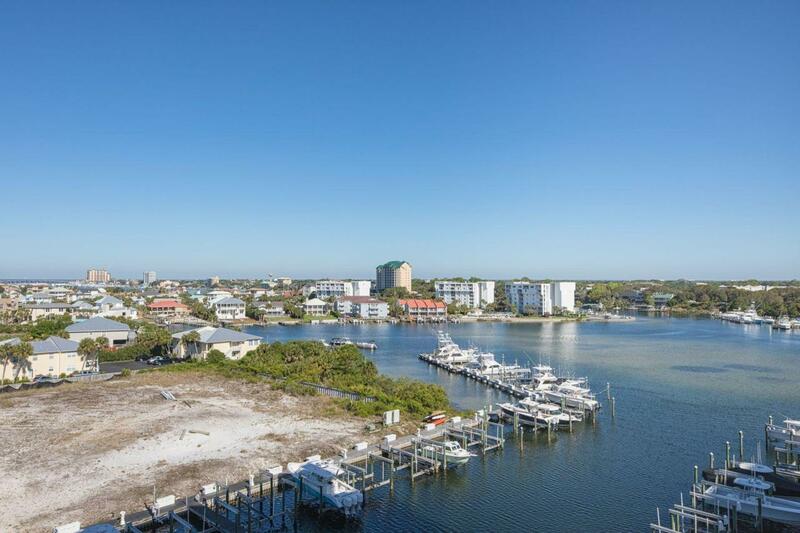 This highly desirable waterfront condo overlooking Destin Harbor features a large private balcony for enjoying panoramic gulf, marina, and sunset views. Enjoy the fresh air as boats come and go, and the magical city lights after dark. 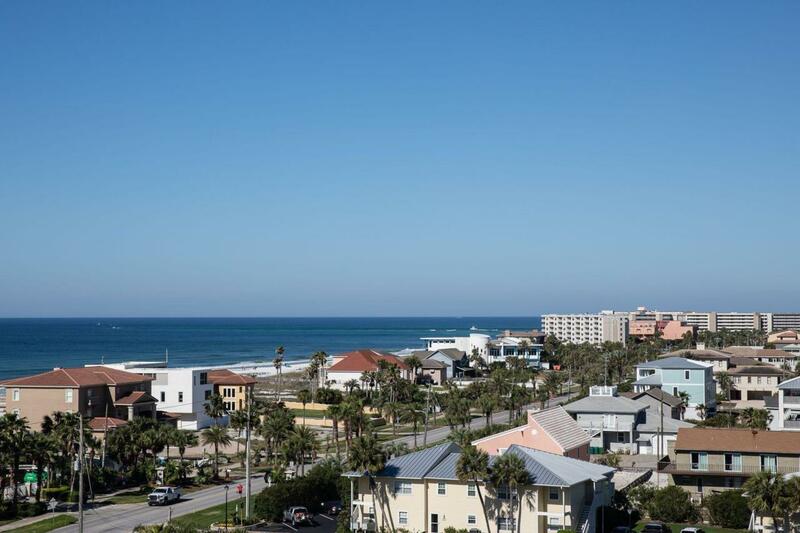 Conveniently located on Holiday Isle this 1,531 square foot condo has two generous bedrooms and two bathrooms. The master suite with direct access to the balcony features his & hers closets, and a large bathroom with a walk-in shower and jacuzzi tub. The well-equipped kitchen has stainless appliances, granite counters and ample cabinets for storage. An added plus is the utility closet that tucks away the full-size washer, dryer, and extra refrigerator out of sight. Along with the benefits of gated security and deeded beach access there are two resort stylepools, including one just for owners in a prime harbor-front position. 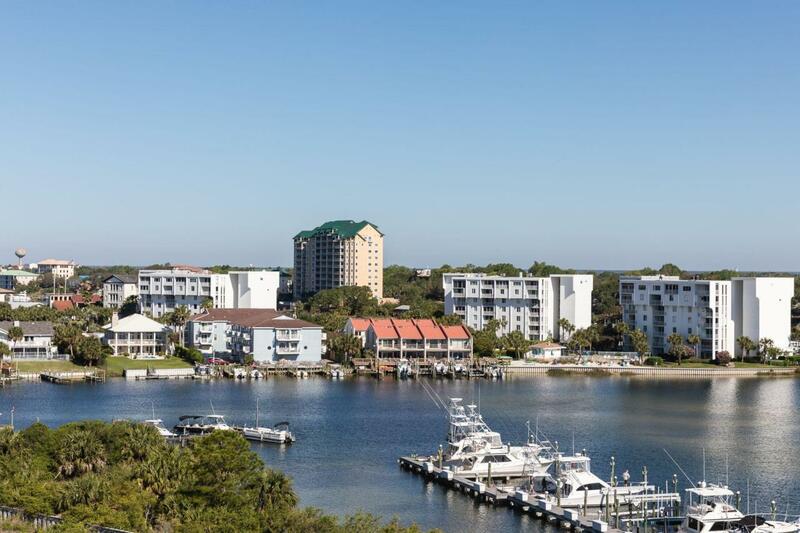 Situated close to several seafood restaurants along Destin Harbor Boardwalk, this area of Holiday Isle is always popular for vacations. 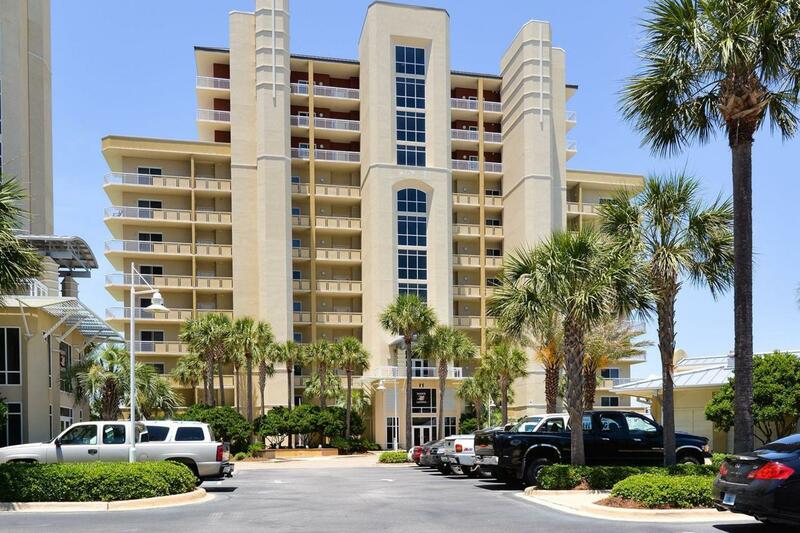 This condo provides the opportunity to enjoy the best Destin has to offer. Call today for more information!